PaxScan Wireless 14x17 DR Cesium and Gadolinium detectors boast hospital-grade imaging quality at highly competitive pricing, making it the ideal choice for DR upgrades or digital x-ray systems. 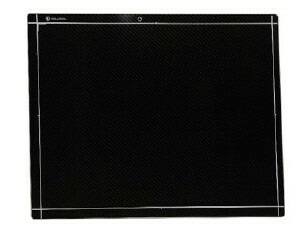 The PaxScan 4336W v4 is a light weight, wireless flat panel detector designed for digital radiographic systems. The 4336W v4 fits standard 14”x17” bucky trays and its wireless communication enables easy migration between table, above the table, chest stand, and mobile cart applications. The 4336W v4 works with commercially available Access Points, or as a stand-alone Access Point. The receptor SDK allows for direct integration into existing systems. The 4336W v4 embeds the M-series Varex Imaging Smart Panel (VSP) software within the receptor. Developers interface with the receptor through VSP COMM which resides on the workstation. The integrator experience is simplified through the new M-series software interface. An onboard Control Panel is used to manage receptor settings and confi guration. The ViVA™ sample imaging application is included. VSP COMM is Windows® 7 (64 bit), Windows® 8.1 (64-bit) and Windows® 10 compatible. ®PaxScan is a Registered Trademarks of Varex Imaging Corporation.